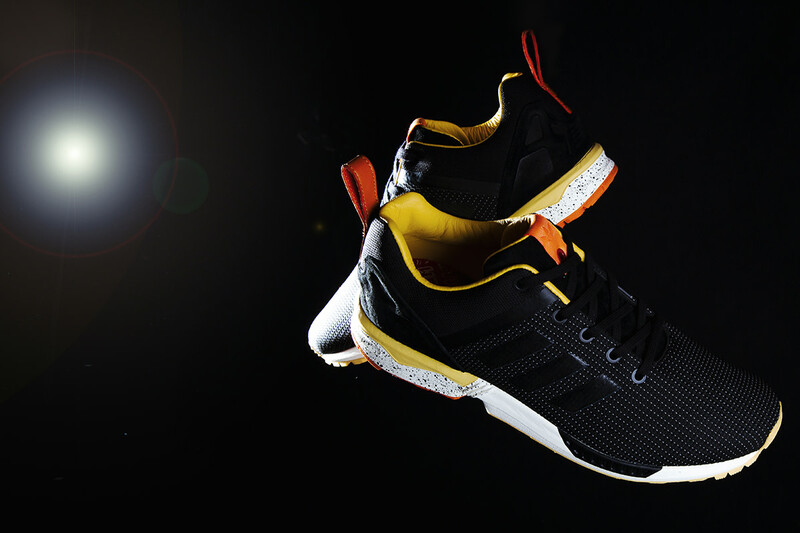 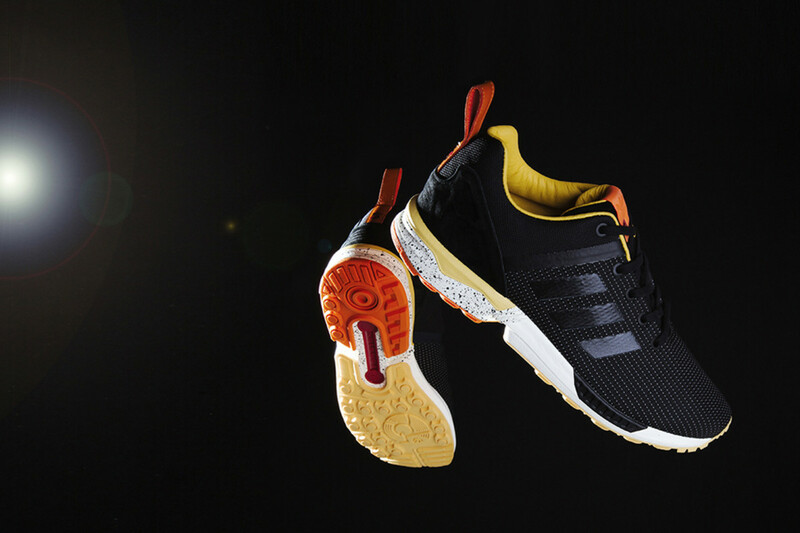 Taking inspiration from Stanley Kubrick’s cinematic masterpiece 2001: A Space Odyssey, the upcoming Bodega x adidas Consortium ZX Flux features a black woven nylon base denoting the emptiness of outer space, accented with pops of reds, yellows and oranges, lifted from the space suits featured in the film. 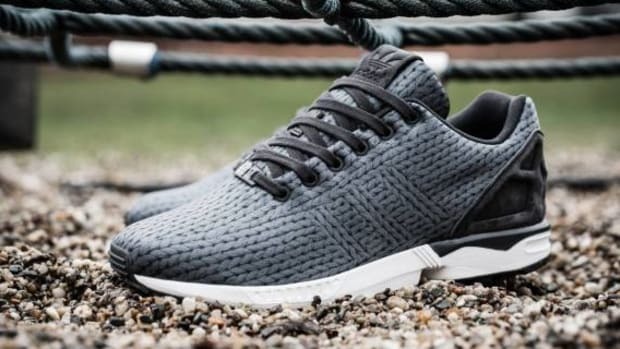 Strands of reflective yarn adds textural variety at the toe box and quarter panels, while tonal suede leather on the tongue and heel stabilizer adds a depth of design. 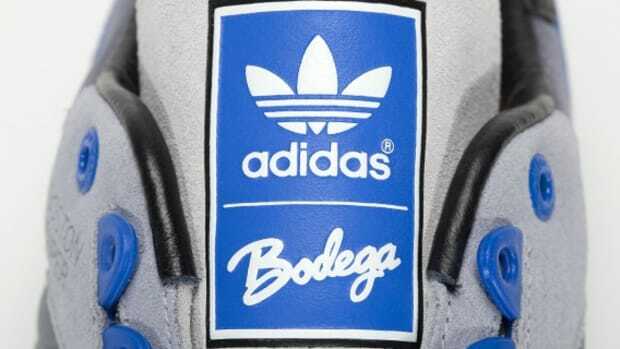 Bodega branded heel loops and a speckled white midsole round out the details. 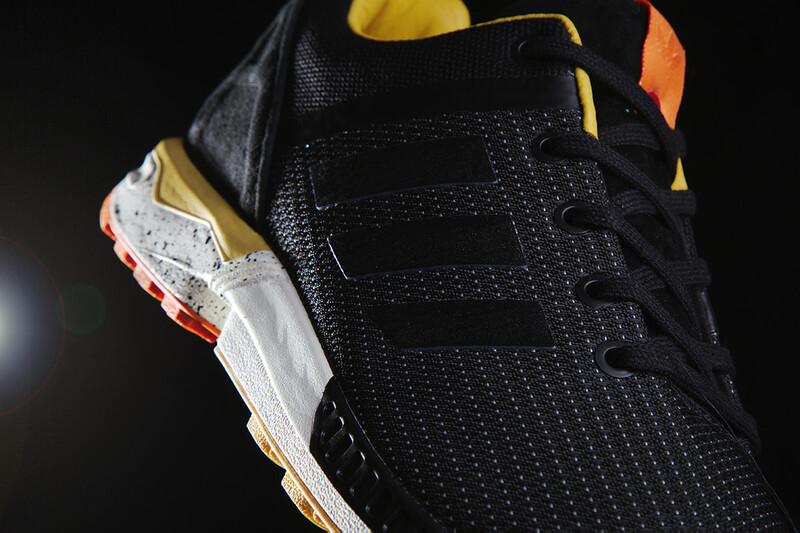 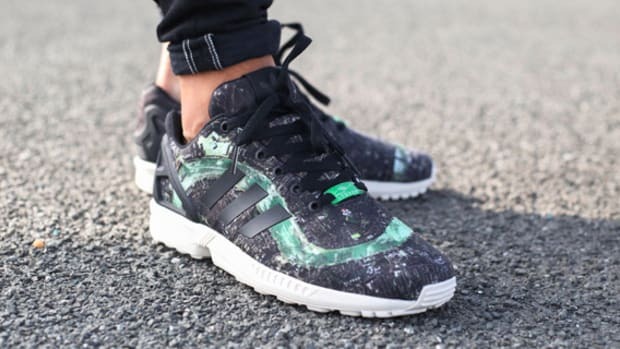 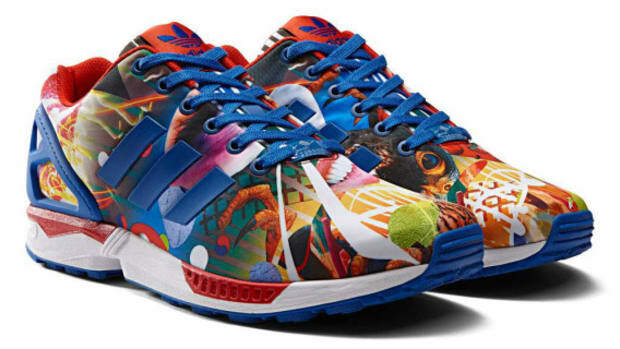 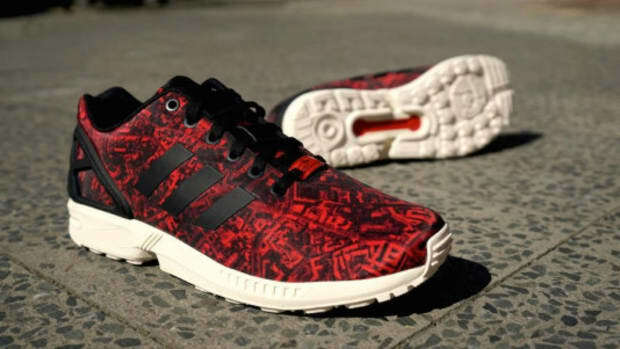 The adidas Consortium ZX Flux BDGA launches July 18th at Bodega, as well as No.42 Paris and No.74 Berlin. 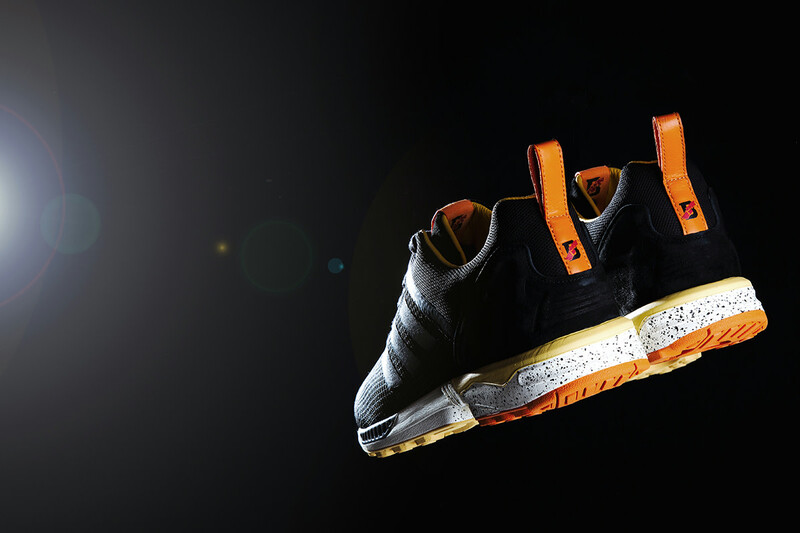 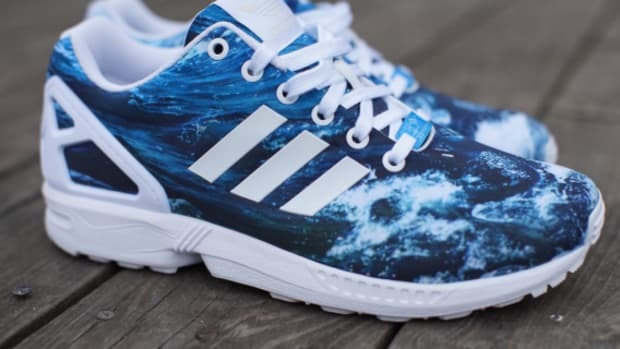 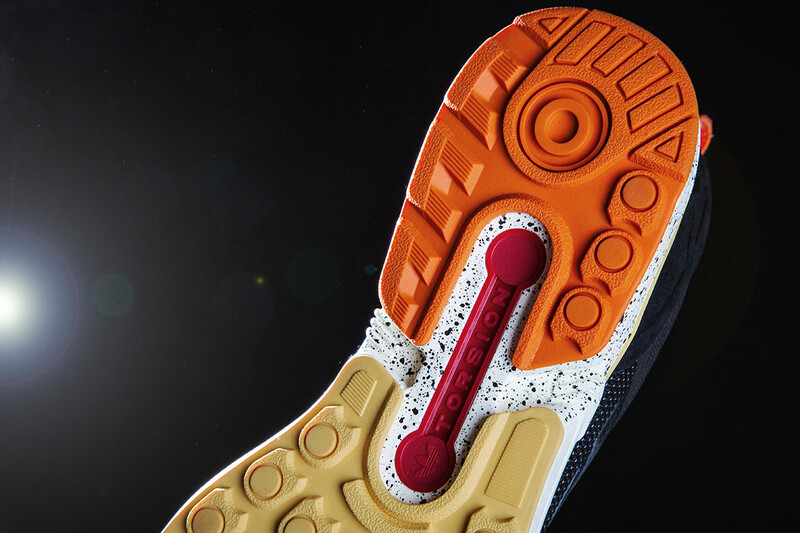 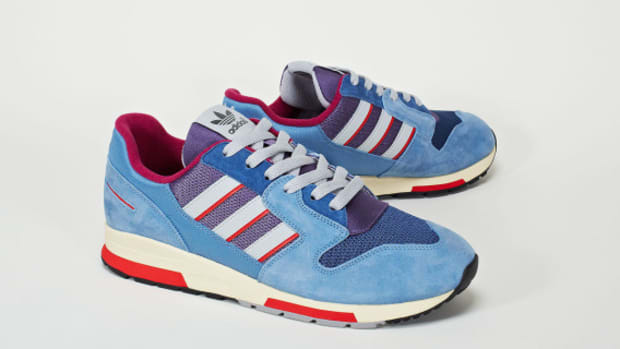 Select Consortium accounts will release the shoe a week later, on July 25th. 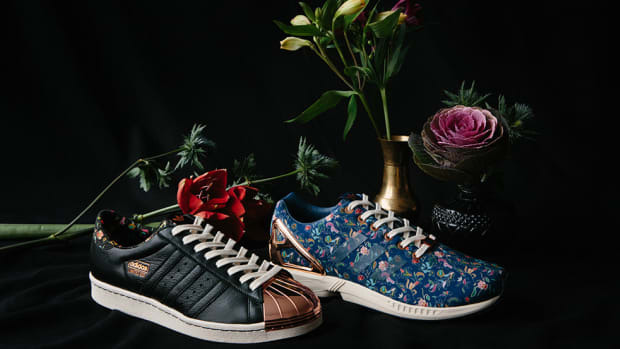 In the U.S., those retailers include Addict, Barneys New York, Sneaker Politics, Shoe Gallery, Social Status, St. Alfred, The Darkside Initiative and Wish.